Song River: You have decided to reach back to a more aggressive side of sound, why now? 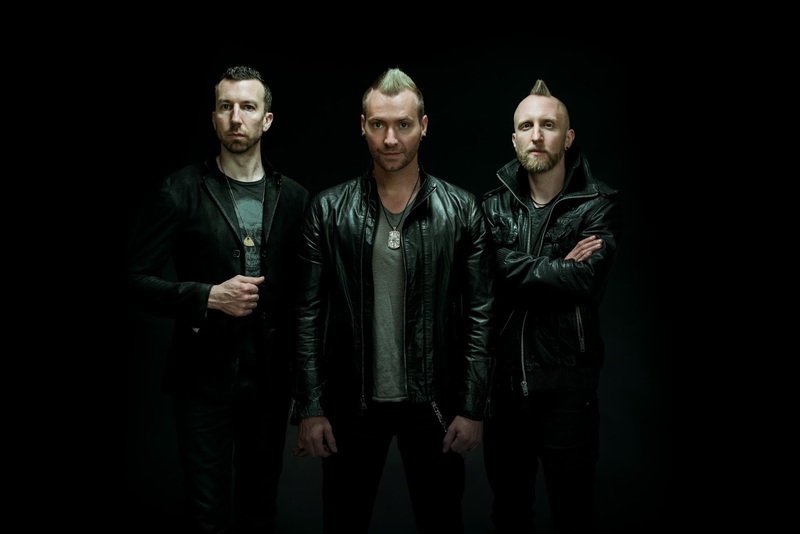 Trevor McNevan: The idea was always for INHALE(our last album) to be a dive deeper into the band's quieter side, and for EXHALE to be a chance to look into the more aggressive side. They were a two-part story. It feels great to finally have part 2 out! SR: You get what you hear on the CD Exhale, as well as live in performance. First of all how important is it to you to be well... "real?" Trevor McNevan: Not sure what you mean exactly. It's important to us that we can reproduce what we put on an album live, and also important to us that we stay true to who we are. Hopefully that answers your question! SR: Studios allow musicians to keep things sounding clean, precise... but live... well that is who we are stripped down. Unless, we pre record everything and lip synch. What do you think of these two very different approaches to music? Trevor McNevan: I'm a fan of bands/artists that can sing/play what's on the album authentically, that's what we've always done, but to each his own. When it comes to string sections, etc, sometimes it's just not feasible. SR: How did you go about keeping the sound in studio recording equivalent to what you hear live? Trevor McNevan: It's something we went into the recording process mindful of, and tried to be intentional about keeping it that way. SR: Was this process more time consuming to create? Trevor McNevan: Not really, it didn't change the process of how it was recorded, just more so "what" was recorded or not. SR: Does the 'natural' way of presentation feel more relaxing actually? Trevor McNevan: That's completely subjective I think. It may feel that way to one person and not to another. It all depends on personal preferences and musical tastes. It really comes down to the vision of the band for the album/songs and what that calls for. There's no right or wrong. It's all about serving the song. We wanted to hear 4 guys playing real instruments, so that's what we recorded. SR: Is this a direction TFK would like to hold onto or will you change how you deliver from time to time? Trevor McNevan: It all depends on where inspiration leads next and what those songs call for as far as production value, etc. Sometimes things need to be over the top to achieve the feeling or moment the band was intending. SR: Talk to me about the single "Running With Giants." Where did the inspiration come from? Trevor McNevan: I just loved the visual of it. That's how I feel every day, walking life, knowing that there is a God much bigger than anything I can imagine leading the way. SR: Why do you think this single has buzzed up the charts so quickly? Trevor McNevan: This song was intended to be the front runner, introducing the overall intensity of the album. So I think it's "no mercy" approach raised the flag well for this collection of songs, and we're very thankful that people are connecting with it! SR: Do you have a favorite 'riff' tune off this album to play in studio and live? Trevor McNevan: We've just started playing a handful of the new songs live on this tour, but so far, they've all been a blast! The River has been fun. SR: Life really is all about 'Inhaling' and 'Exhaling' you have accomplished just that. 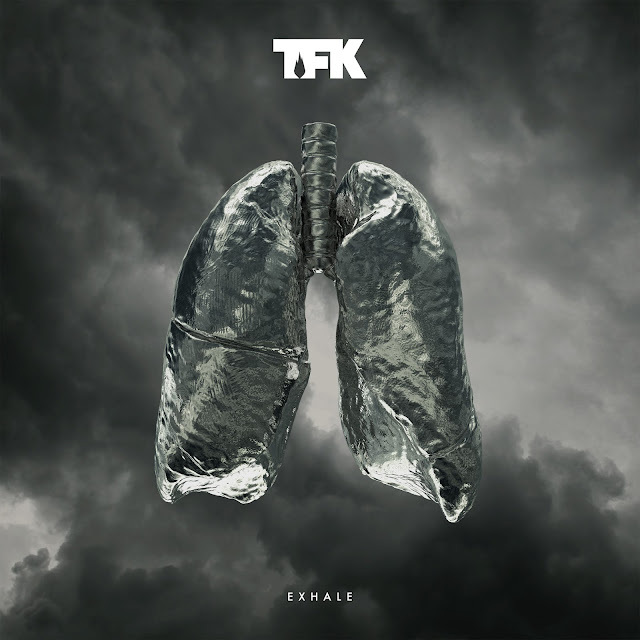 What has been the reaction coming from TFK fans? Trevor McNevan: The warm reception of EXHALE has been exciting to see. It's always a very vulnerable moment releasing new music, so to have it received so well, has been a true blessing to us. Thank YOU!!! SR: If you were to look out over the sea of metal/hard rock over these past ten years where are you all sitting and are you just fine with it? Trevor McNevan: We've always tried to stay true to our convictions on what we felt inspired to create at the time, and what felt "right" for this band, we try not to focus on whatever the "current thing" is in the genre, and focus more on making sure that we're making music that's honest to us, that we're excited to be a part of.